Is Club Carlson Visa the Best Card for Everyday Spending? There’s a lively debate about which is the “best” travel rewards credit card. 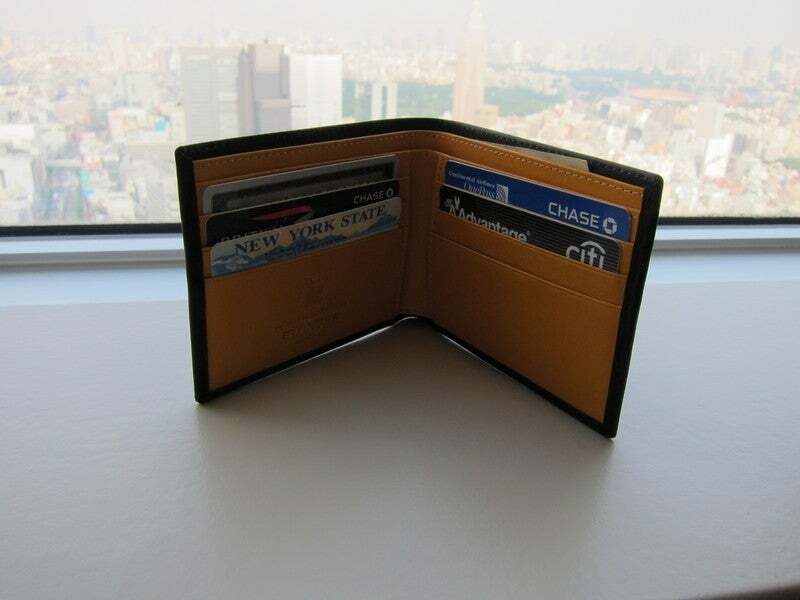 It all depends on the cardholder, but today TPG Senior Points & Miles Correspondent Nick Ewen makes a compelling case for why one of my favorite cards should be your top choice for everyday purchases. In my most recent round of credit card applications, I finally got around to picking up the Club Carlson Premier Rewards Visa Signature. I was already familiar with the card, but as I browsed the welcome packet, I started thinking more about the value it offers. Suddenly, I was struck with an interesting question: is this card actually one of the best out there for everyday spending? Today, I’ll take a closer look at the benefits and value it provides to see if you should make room for it in your wallet. The Premier Rewards Visa from Club Carlson has a lot of valuable benefits, but is it also the best card for everyday spending? The Club Carlson Premier Rewards Visa Signature gives cardholders an impressive array of benefits. First, the card offers a sign-up bonus of 85,000 points: 50,000 after your first purchase, and another 35,000 after spending $2,500 in the first three months. You’ll earn 10 points per dollar spent at participating Carlson Rezidor hotels worldwide, and 5 points per dollar elsewhere. You also get automatic Gold Elite status and Visa Signature benefits. The two remaining benefits are much of what makes this card so lucrative. First, you earn 40,000 bonus points each year after you renew the card and pay the annual fee ($75). TPG lists Club Carlson Rewards at 0.6 cents apiece in his most recent monthly valuations, so those 40,000 points are worth $240. Second (and this is where the card really shines), you get your last night free when you redeem Gold Points for two or more consecutive award nights. That means you can get two nights for the price of one (or three for the price of two etc.) at any Club Carlson property worldwide. 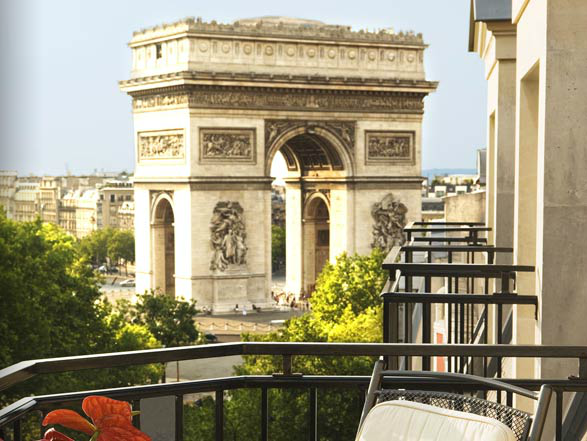 The sign-up bonus and Bonus Award Night benefit can get you two free nights at top-tier properties, like the Radisson Blu Hotel Champs Elysees in Paris, just steps from the Arc de Triomphe. The sign-up bonus alone is worth $510. Gold status in the Club Carlson program comes with room upgrades, early check-in/late check-out, and an in-room welcome gift (among other perks). You can also enjoy all of the benefits Visa Signature has to offer (check out TPG’s Top 10 Visa Signature benefits from back in 2012). The Bonus Award Nights extend the value of your points; while a two-night stay is the sweet spot, stays of up to 9 nights still match or outstrip similar policies at other chains (once you get to ten nights, the 5th night free benefit with Hilton, Marriott, and SPG takes the lead). Which card is best for non-bonus merchants like clothing stores? Image courtesy of Shutterstock. Are you trying to meet a minimum spending threshold to earn a sign-up bonus? If yes, put your spending on those cards first. It’s not worth potentially missing out on a bonus because you were trying to maximize your bonus categories. Are you trying to meet an annual spending threshold to earn a bonus? Many cards give you bonuses for spending a certain amount in a calendar (or cardmembership) year. Examples include the free night certificate after spending $10,000 on the Citi Hilton Reserve or the Travel Together Ticket after spending $30,000 on the British Airways Visa Signature Card. Do you have a specific redemption in mind? If you’re just short of a business class award ticket, those last few hundred miles are incredibly valuable, even if you’re using a credit card with generally low earning rates. What rate of return are you receiving? Based on the standard earning rate on the card, what are you getting out of the purchase? This last question is easy to answer for cash-back cards, as they give you a flat percentage (generally 1-2%). It’s a little more complicated for other rewards cards. For the purposes of this analysis, I’m going to use TPG’s January valuations to quantify the everyday earning rates for major cards. Take this analysis a step further. TPG’s valuation of 0.6 cents apiece for Club Carlson Rewards is just a baseline, and it doesn’t factor in the benefits offered by the credit card. I would argue that holding the Club Carlson Premier Rewards Visa makes your Gold points even more valuable because of the Bonus Award Nights benefit, thus making the card even more rewarding for everyday spending. 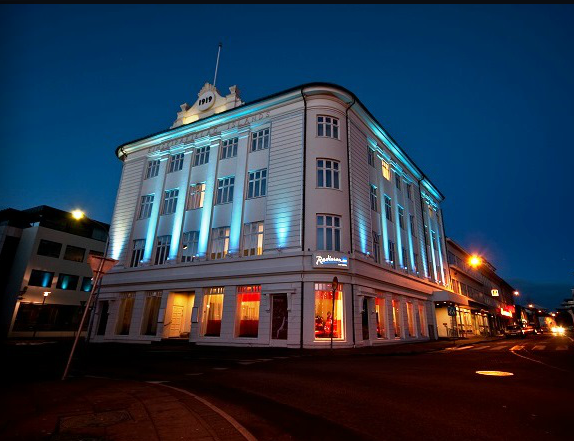 If you redeem points at a property like the Radisson Blu 1919 in Reykjavik, Iceland, your Gold Points may be worth even more. Consider my upcoming trip to Iceland. We’re spending four nights in Reykjavik, and are trying to decide how to book our hotels (TPG’s post on Club Carlson properties in Iceland is a great resource if you’re in a similar position). Obviously, the best bang for our buck is to spend two nights at each property using points, since the second night of both stays would be free! However, that creates the hassle of switching hotels rather than having a single “home base” for the entire four nights. At two nights, each point is worth 100% more just by having the card. From there, the value drops as the length of your stay increases, since the power of the free night benefit is diluted by each additional night. Still, even on an 8-night stay, having the card still gives you an extra 14% boost in value. If you want to take this analysis to the absolute extreme, let’s say that you always (without exception) redeem Club Carlson points for two-night stays, thus doubling their value to 1.2 cents apiece. Using the same math, 5 points/$ x 1.2 cents per point gives you a return of 6%! Hopefully you can agree that this card should have a spot in your wallet. There are additional layers of complexity here. You may not ever want to stay in a Club Carlson property, or you may prefer the flexibility to redeem miles for any travel expense (like you can do with miles earned from the Barclaycard Arrival Plus). Still, I think there’s a compelling case for this card being one of the most valuable out there for everyday spending. Of course, even if you don’t agree, the card is still a fantastic one to have in your wallet on a long-term basis. The 40,000 points you get every year upon your account renewal will easily cover the annual fee, especially if you take advantage of the Bonus Night Award benefit and redeem those points for a two-night stay at a Category 4 property (for example). Gold status can also come in handy, and with the current sign-up bonus, you can spend two nights in a top-tier property (like The May Fair in London) without paying a dime. What do you think? Is this card underrated when it comes to everyday spending? Please share your thoughts in the comments below!